Cellulite is an extremely common condition that affects up to 90% of women. It’s characterized by dimpled, lumpy skin. Cellulite is, unfortunately, a part of life for many women, and it can be extremely difficult to get rid of. Cellulite, also known as cottage cheese fat due to its distinct lumpy appearance, is hereditary, and if your mom had it, chances are pretty high that you will have it too, even if you live a healthy lifestyle, diet, and exercise. Cellulite has no relation to weight, and even thin people can get it. If you have a lot of muscle and low body fat, your cellulite might not be as apparent, as there is less fat in general. However, for the majority of women, cellulite is an unfortunate fact of life. 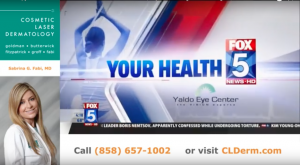 Luckily, Cosmetic Laser Dermatology in San Diego offers the latest and most effective treatments to reduce the appearance of cellulite without surgery. We understand how frustrating cellulite can be, and we make sure that we are on the cutting edge of all the latest cellulite-reducing technologies to help make your life better. 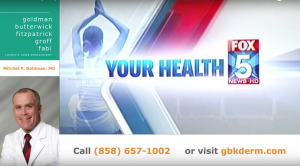 Many people have the erroneous impression that cellulite is related to weight gain. This is not actually true; cellulite is not caused by weight gain itself, but rather by an abundance of connective tissue anchoring skin to muscle. This connective tissue, called septae, pulls the skin down, creating the characteristic dimples of cellulite. Women tend to have more of these fibrous bands than men, which is why cellulite is much more prevalent in women than in men. Cellulite most often appears on the buttocks and the backs of the thighs, although it can also appear in other areas of the body. Cellulite can be caused by a wide range of factors including genetics, poor diet, yo-yo dieting or fad dieting that leads to changes in metabolism, and others. Weight gain can make cellulite more apparent, and it tends to be more apparent on lighter-colored ski as well. Cellulite has a history of being very difficult to treat effectively, but in recent years we’ve seen technological advances that led to more effective treatments for cellulite. When you contact CLDerm in San Diego regarding cellulite treatments, our specialists will determine which procedure is right for you. Each of these treatments works in a different way to help the skin look more toned and even, so it’s just a matter of discussing your goals and concerns with one of our dermatology specialists. Cellfina is the latest and longest-lasting cellulite treatment for most women. It is an innovative device that automates the subcision procedure, effectively snapping the septae holding the skin to muscle and smoothing out cellulite dimples. 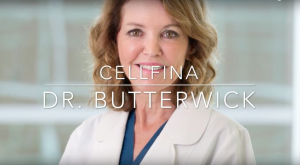 Cellfina is a minimally invasive procedure that is virtually painless and fairly quick, depending on the number of dimples treated. It generally takes around one hour to treat 25 dimples. Recovery time is quick as well, with patients able to return to work immediately. There may be some swelling, bruising, or discomfort following the procedure, but this can be managed easily with over the counter painkillers and will subside within a few days. Ionithermie is a cosmeceutical treatment performed by our medical aesthetician. This treatment promotes healthy circulation and reduces toxins at a cellular level, which in turn leads to a smoother and more toned skin appearance overall. This toned appearance includes a reduction in the appearance of cellulite as well as improved skin texture, better muscle tone, and an overall slimming effect. 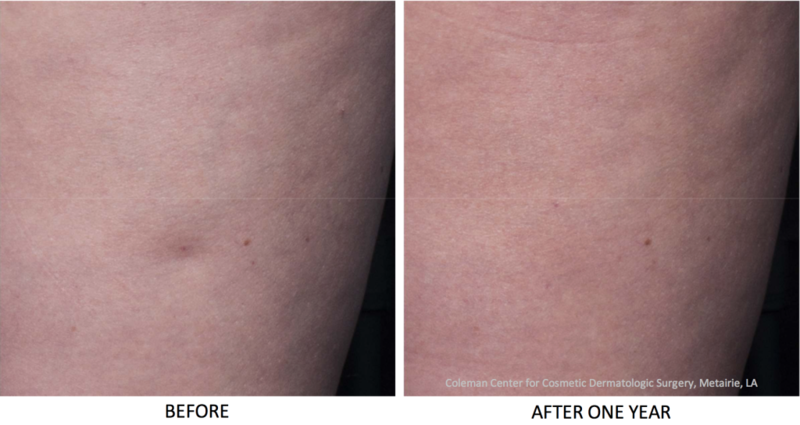 TriActive is a laser treatment FDA cleared for reducing the appearance of cellulite. This treatment is painless with no downtime and is a great complement to liposculpture if you are concerned with both excess fat deposits and cellulite. The procedure takes only half an hour, and a series of 14 sessions is recommended for optimal effect. We also offer a 50-minute post-operational tri lymph massage for liposculpture patients. Cellulite is a common issue for many individuals, but luckily there are many treatment options for dealing with this problematic and aesthetically unappealing condition. Sculptra is a commonly thought of as a facial filler, but it’s also a great treatment for reducing cellulite, reducing skin laxity, and even adding volume to the buttocks. By stimulating the body’s natural production of collagen, Sculptra can help reduce the appearance of cellulite and contour the buttocks in the process. Z Wave is a painless, non-invasive treatment for the reduction of cellulite and skin dimpling. The procedure works by using acoustic wave therapy to quickly and harmlessly send sound waves into the skin, which smooth and tighten the treated areas. Depending on your specific cellulite concerns, we recommend multiple Z Wave treatments (at least 8-10) in order to see the best results. Q: Can cellulite be treated with liposuction? A: Liposuction can not treat cellulite. In fact, liposuction may make cellulite worse by making the dimples more prominent. Liposuction is a great choice for people at or near their goal weight who want to reduce small areas of fat that are unresponsive to diet and exercise, but it is not a weight loss tool and it is not a treatment for cellulite. For more information about the monthly specials offered at Cosmetic Laser Dermatology in San Diego, visit our Promotions page.